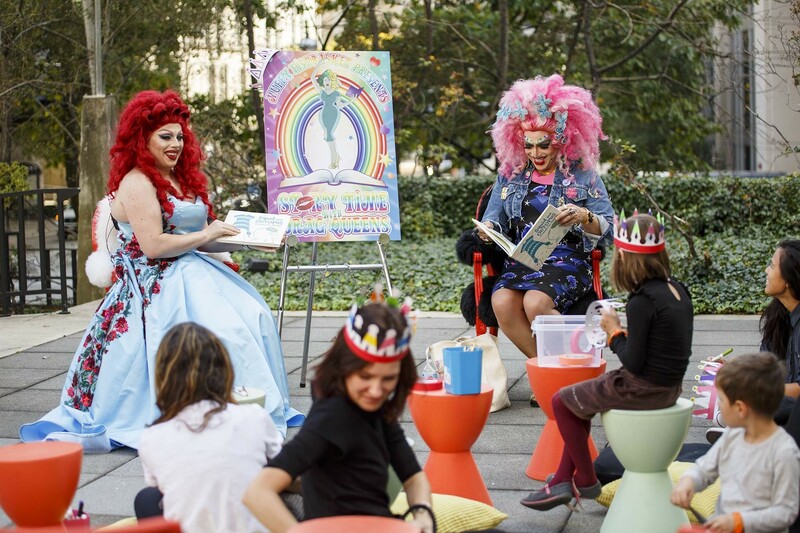 Muffy Fishbasket and friends save some of their best reads for the children at this kid-lit kiki. 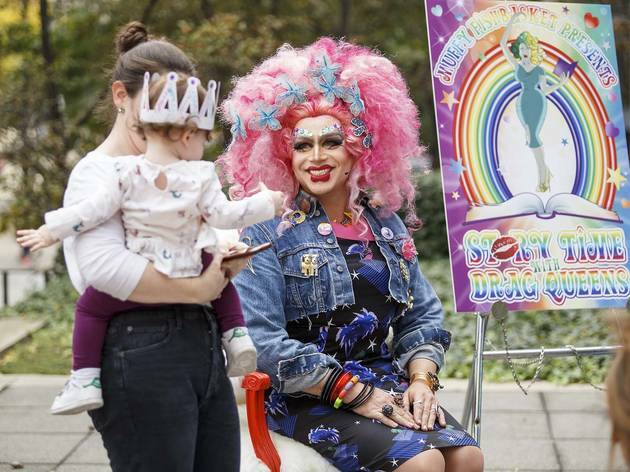 “A lot of them, I have found, don’t even see gender with us. 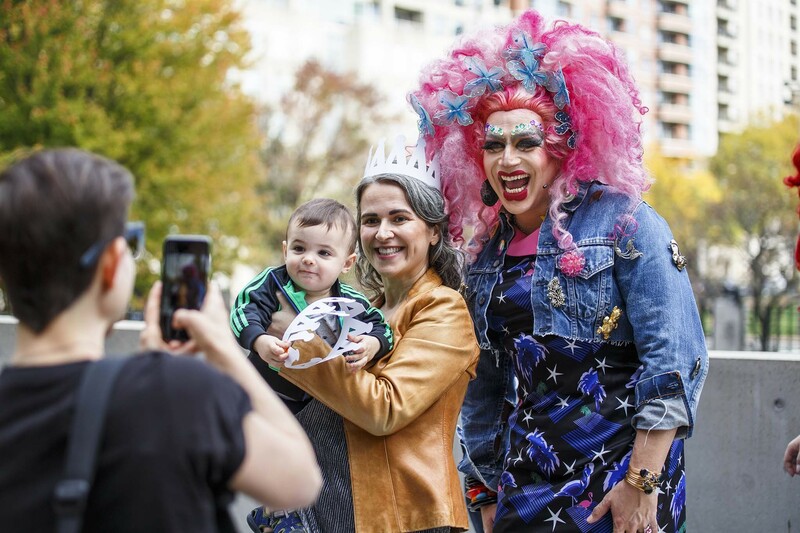 A lot of them just call us ‘princesses,’ ” says drag queen Muffy Fishbasket of her youngest fans. 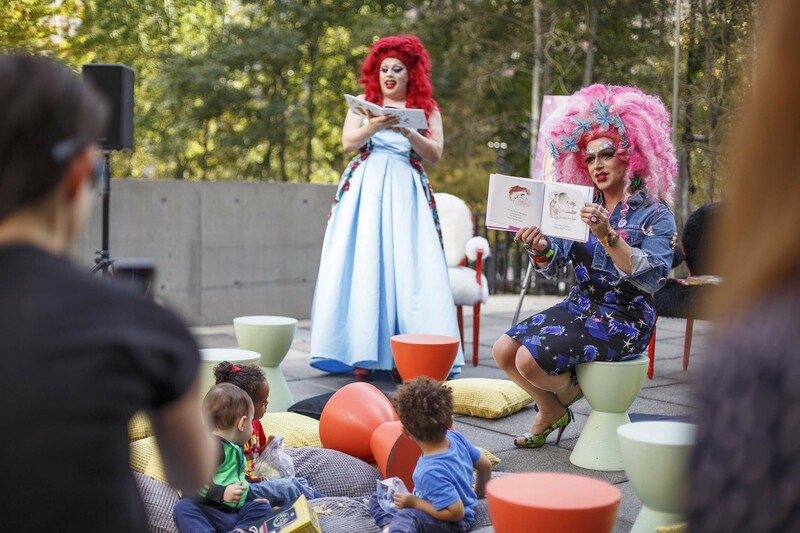 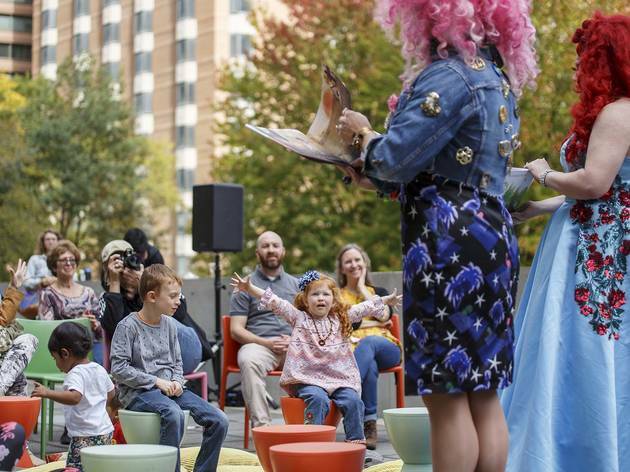 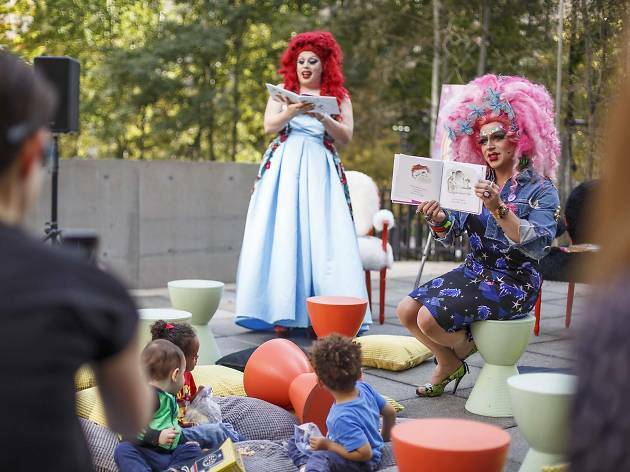 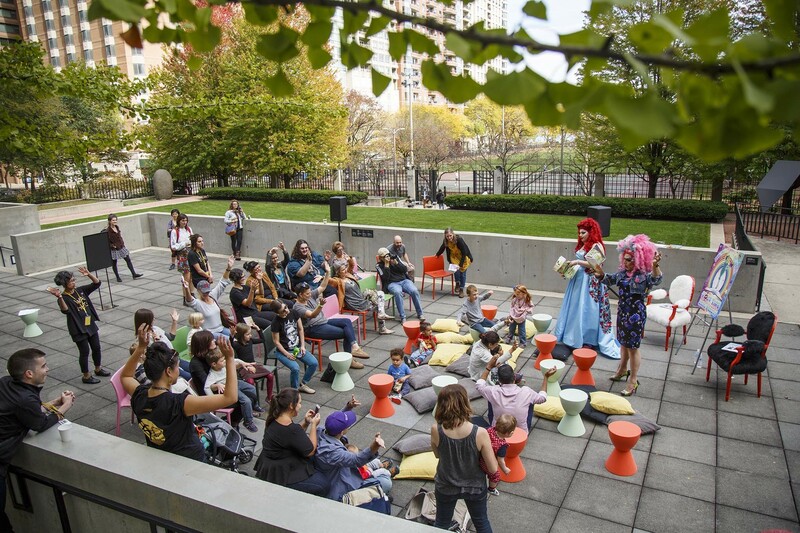 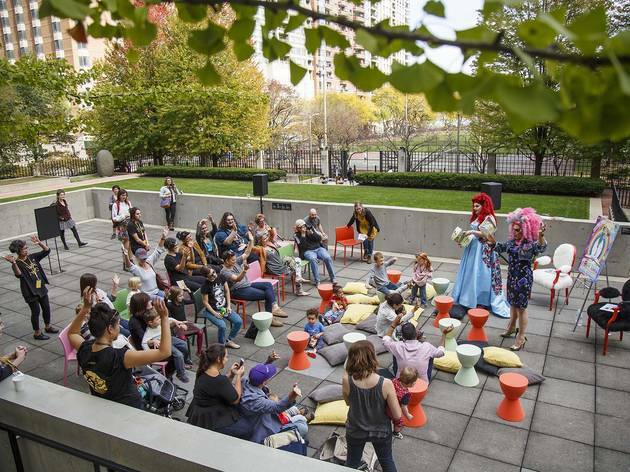 Geared toward kiddos ages 3 and up, Story Time with Drag Queens features Muffy and her “Good Time Galz” (who perform more grown-up material at venues like the Call and Uptown Underground) reading classic picture books like Corduroy as well as newer titles, often with inclusive messages. 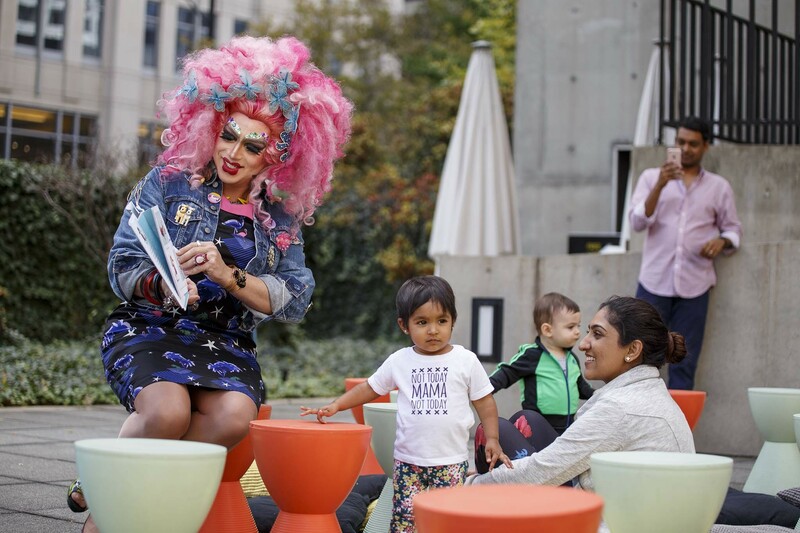 Readings have taken place at Center on Halsted, Chicago Public Library branches, Navy Pier’s family Pride celebration and the Museum of Contemporary Art’s 50th-anniversary weekend; the organizers have partnered with Andersonville bookstore Women & Children First to make the selected books available for parents to purchase at the events. 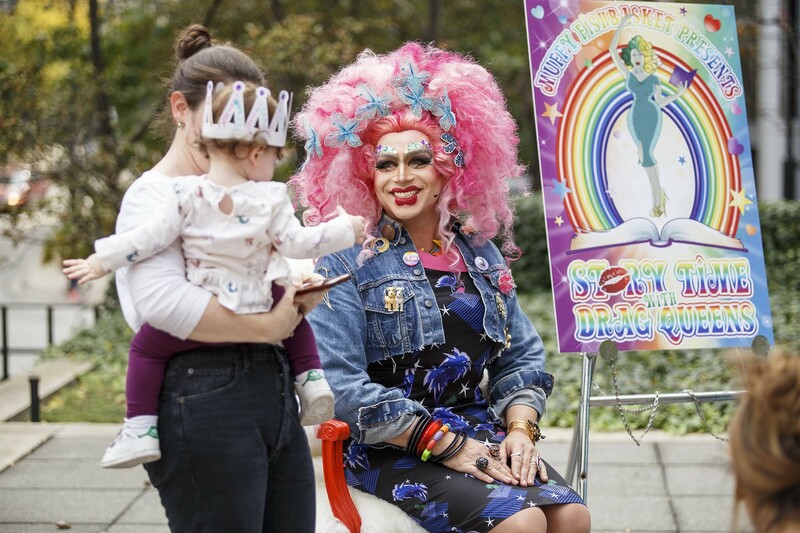 Muffy, who’s also working with the Davis Theater’s Carbon Arc restaurant to develop a “family-friendly drag brunch,” laughs at such reactions. 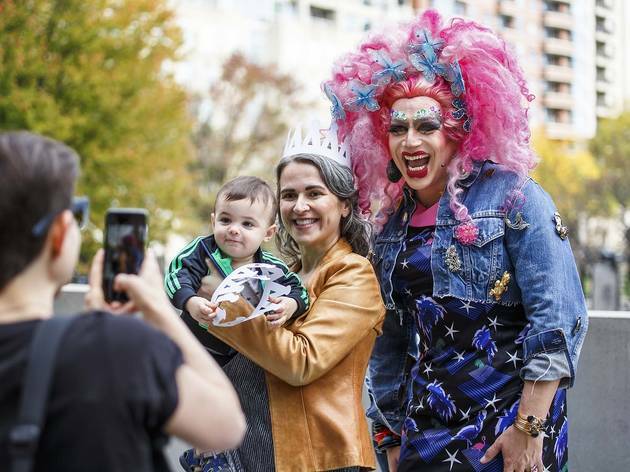 “I’m kind of a walking cartoon character,” she says of her kid appeal, noting that Story Time with Drag Queens isn’t that far removed from the long tradition of clowns playing exaggerated personas to entertain kiddies. 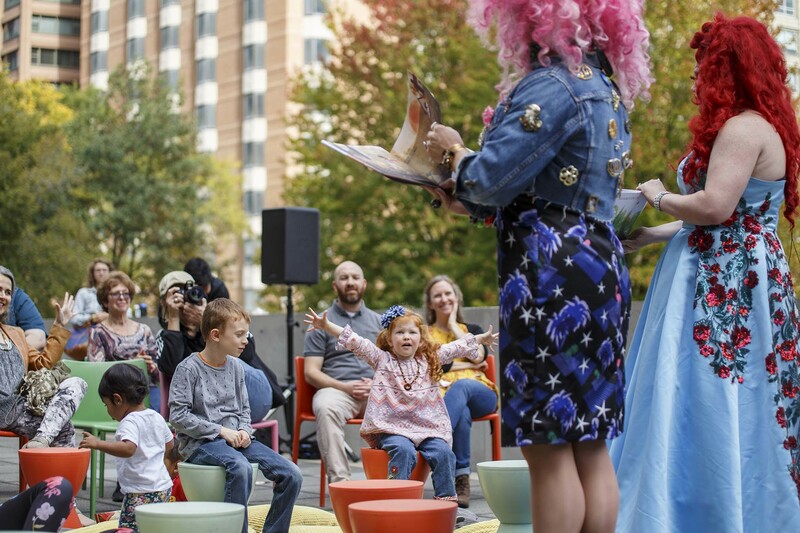 Muffy and friends read stories December 28 at the Chicago Children’s Museum at Navy Pier from 6:30 to 7:30pm; January 13 at the Museum of Contemporary Art from 11am to 3pm; and February 10 at Women & Children First at 11:30am. 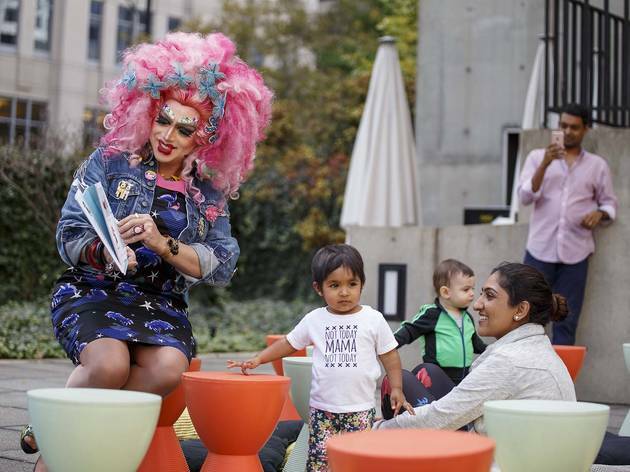 Suggested donation $10. 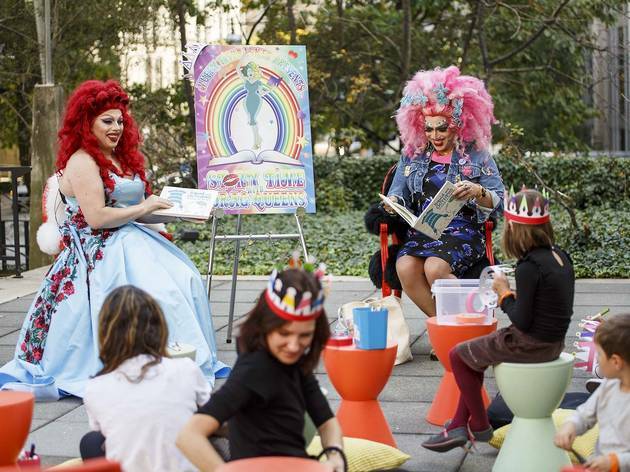 Visit muffyfishbasket.com for additional dates.